Taking Questions: A New Move For Fed Transparency The Federal Reserve on Wednesday will hold the first full-fledged press conference in its history. Chairman Ben Bernanke's appearance marks the latest effort by the central bank to be more open and better communicate with the public. 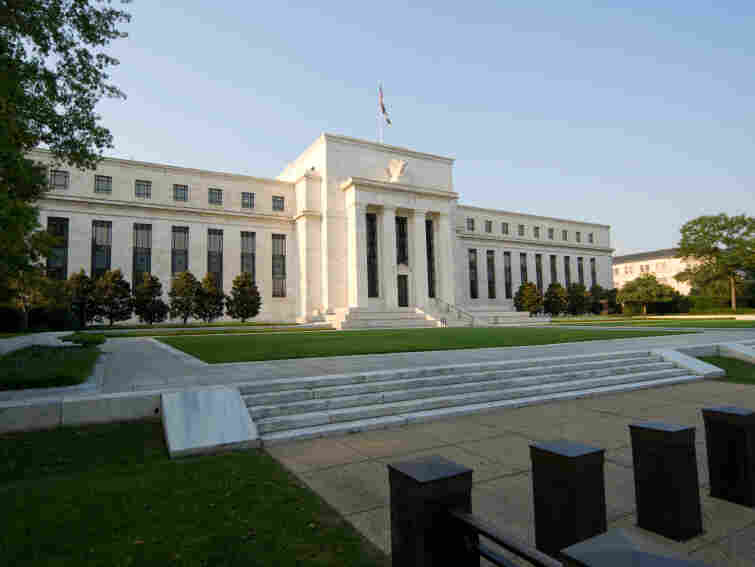 The Federal Reserve on Wednesday will kick off a series of regular press conferences, to be held four times a year. The Federal Reserve will take some extraordinary action Wednesday when, for the first time in the central bank's history, its chairman will hold a full-fledged press conference. Ben Bernanke's afternoon appearance before reporters marks the start of what looks to be a permanent shift. The Fed is hoping to hold a press conference once every three months as it aims to explain itself better to the American public. For some people, Wednesday's conference is a bigger media event than the royal wedding. Alan Blinder might be one of them. A former Fed vice chairman, Blinder pushed for more openness at the Fed. He thinks press conferences are a good idea. "I think the Fed has a good story to tell and very little to hide," Blinder says. "It's given the impression to a lot of people that it has a lot to hide, so I think [the conference] can do some good in that domain. On the other hand is it going to get Ron Paul to stop worrying and love the Fed? I doubt it." Rep. Ron Paul (R-TX) has called for abolishing the Fed. Vincent Reinhart, a former Fed official, says the central bank's decision to hold press conferences is partially a response to criticisms spawned by the financial crisis, when the government rescued Wall Street firms that it said were "too big to fail." "But when they say too big to fail, a lot of people hear, 'I'm just too little to be helped,' " he says. "The Fed is seen as an instrument of tilting the playing field in favor of the big guy." While explaining that the Fed's response to the recent crisis might be part of the impetus behind the press conferences, Reinhart says the Fed has actually been on a nearly 20-year journey toward greater transparency. Before that, Fed chairmen were often intentionally opaque. The Fed's approach to communicating a couple of decades ago was labeled "constructive ambiguity." It was thought that policy changes could be most effective if the markets were surprised by the Fed's moves. But that changed midway through Chairman Alan Greenspan's tenure. The idea now is that the Fed can do better by making its intentions clearer to the markets. Blinder says, though, that press conferences certainly won't solve all the Fed's communication problems — and there are some risks. 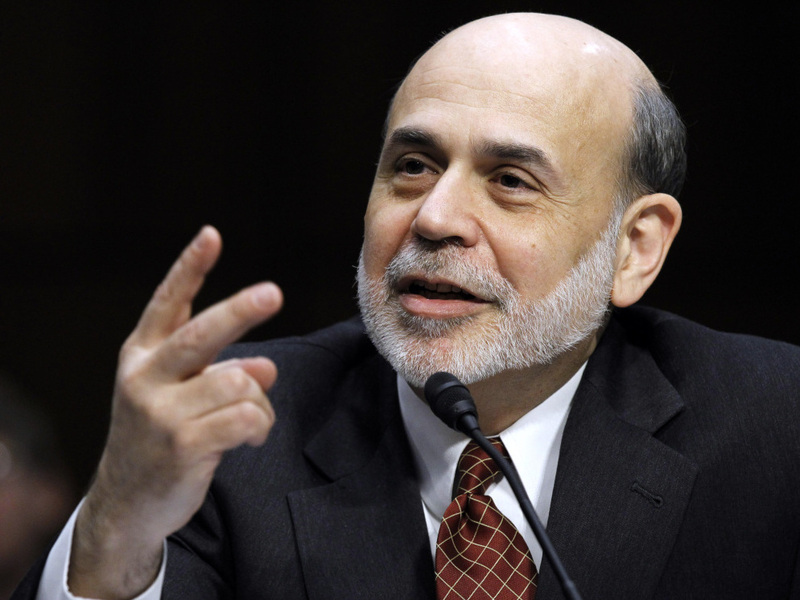 Ben Bernanke has served as chairman of the Federal Reserve since 2006. "A central banker will occasionally make a slip and not put something artfully, and be misinterpreted, and so on," he says. But central bankers in the United Kingdom, the European Union, Japan and Canada all hold regular press conferences, and Blinder says research indicates these events have a positive impact. Reinhart says the press conferences will very likely give Bernanke more power to frame what happens at the Fed meetings, which will precede each press event. That disclosure, Reinhart says, is likely to weaken the arguments of dissenters. This new mode of Fed communication could be particularly valuable in the coming months as the central bank ends its huge economic stimulus, known as quantitative easing, and begins the unpopular task of raising interest rates.